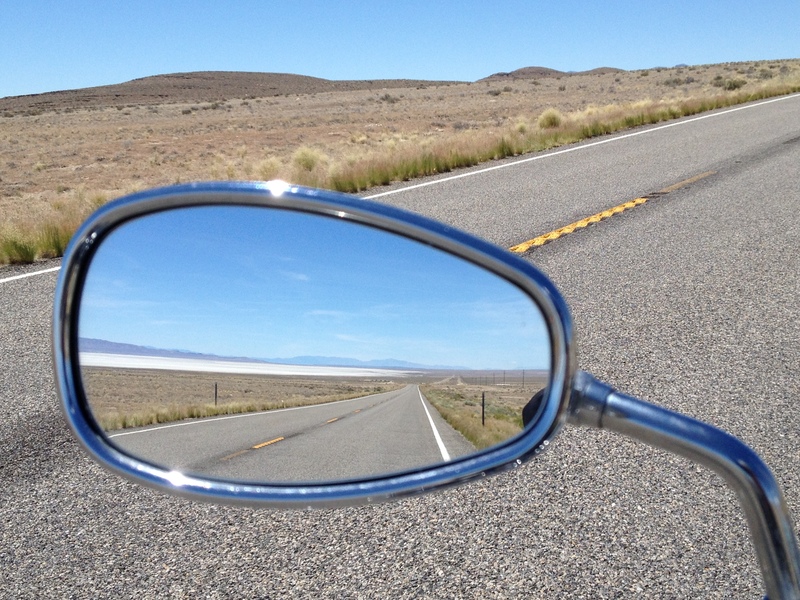 7 Life Lessons Learned on a Motorcycle. So, this last June, I was given the opportunity for an adventure. 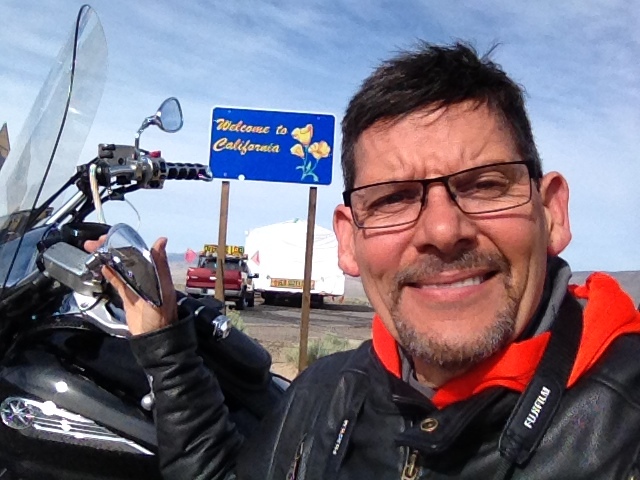 This adventure took me 4934 miles on my motorcycle. It was a solo trip from the Chicago area to California and back. I took 5 days to get to California, spent 8 days there with family and then rode 4 days home. I went through Illinois, Iowa, Minnesota, South Dakota, Nebraska, Colorado, Utah, Nevada and California. I encountered wind, sun, rain and hail! 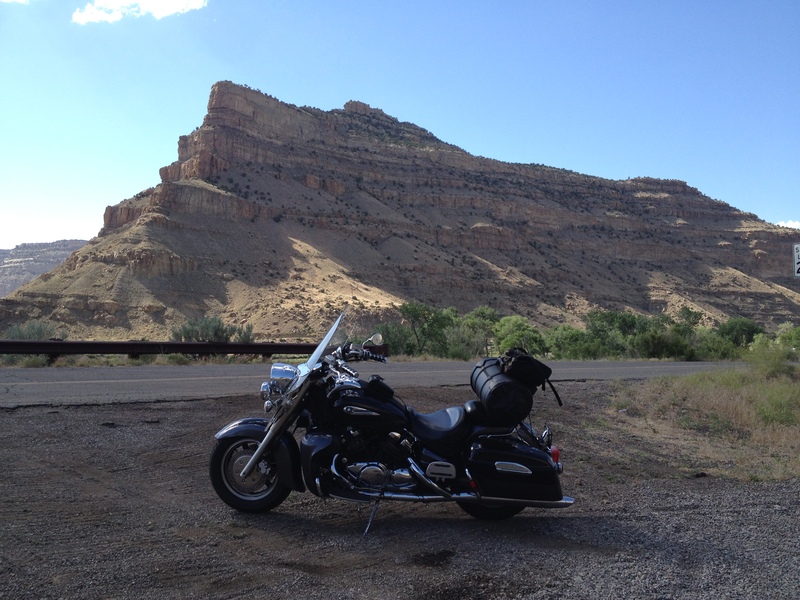 I saw prairie, wildflowers, desert, mountains, snow, wildlife and roadkill. Along the way, I learned and relearned a few things that really enriched my life! Here they are. Headed into the storm in Spencer, Iowa. 1) Needing people isn’t bad. 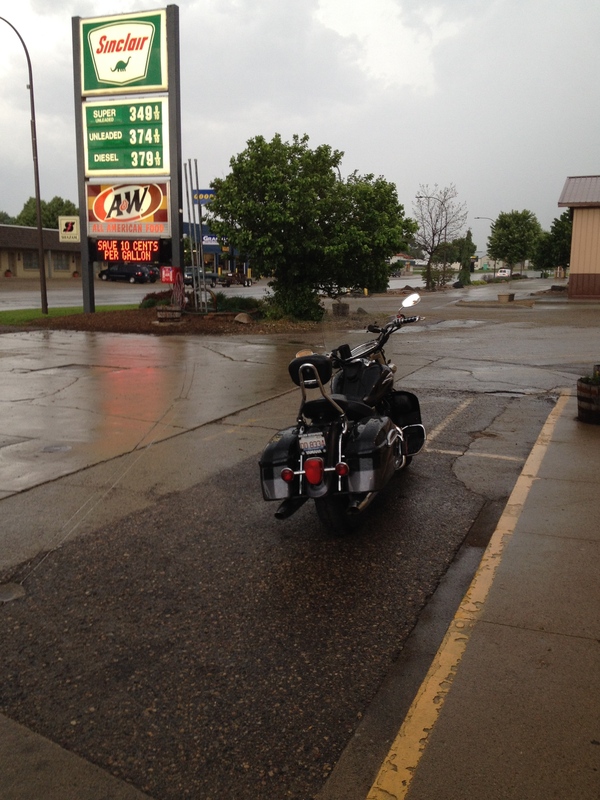 In Iowa I needed to be rescued, as the hail came down, horrendous winds blew and my motorcycle got stuck in deep gravel. You can read about that here. Needing someone helps me see the grace and love of God at work. Warming the hands in Colorado. 2) Stop to warm your hands. The Colorado mountains were cold! I was on a schedule and didn’t want to stop, but my hands were demanding that I hold a hot cup of coffee. I stopped. 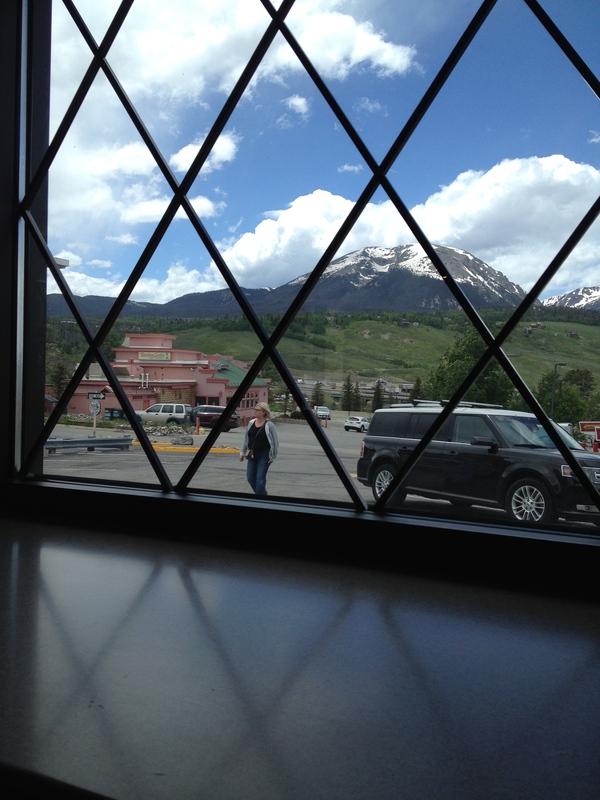 And in stopping I was able to enjoy the beauty of the mountains around me. Taking care of myself forces me to stop and see what’s around me. Feeling small in the midst of the majesty of God’s creation. 3) Enjoy the scenery, but stay focused on the road. Don’t look at the river in the valley too long unless you want to be in it. It’s tempting to stare at the cool things on the side of the road. But on a motorcycle, you end up driving where your eyes focus. We can enjoy this world and the things of this world, but if we get sidetracked, we’ll become another tragedy. The loneliest road in America. 4) Alone doesn’t have to mean lonely. Those days, I shared my joys and thoughts with God. I am a pretty social person. 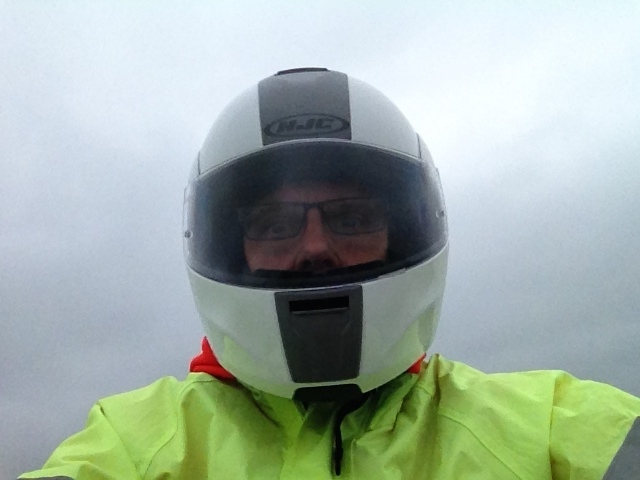 But the quietness (if you can call motorcycle engines and wind buffeting the helmet quiet), gave me a great sense of God’s presence. Along the way, people asked, “you’re traveling all that way alone?” I answered, “nope.” “Jesus is with me.” And I meant it. Trusting in the direction of others. 5) Take advice from someone who’s been there. A couple of times, I ran across riders that had been where I was going. They gave me better directions. They warned me of when to get fuel. They told me of the condition of the road and weather that was coming. One guy saved me about 4 hours of travel by giving me an alternate route. That was invaluable. Made it to the goal! 6) Know where you’re going. We need goals! Goals in life give us a great sense of accomplishment. This picture can’t show how truly happy I was to see that sign! We all need to know when we’ve made it. 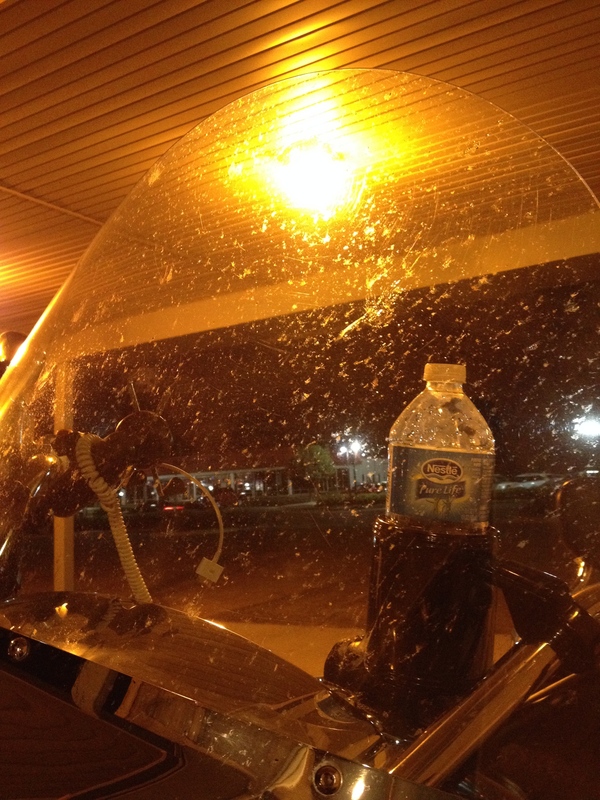 No matter where I stopped, every morning I had to wipe down my bike. Each evening, it was covered by dust, grime and bugs from the day before. And in Nebraska it’s bugs, bugs, and bugs! It’s no fun riding a dirty bike. So most guys take a towel and wipe it down. As we live in this world, we all get dirty. We need to start clean. Start each day honest before God – letting him clean you for a new day. I thank God for the lessons. Please comment! Which of these is the biggest challenge for you right now? Which of these have you learned from your own experience? If you’ve done something challenging, what lessons would you add? Also, please subscribe and share this blog with others who might be encouraged too. What a terrific trip! The lessons you learned and things you shared! 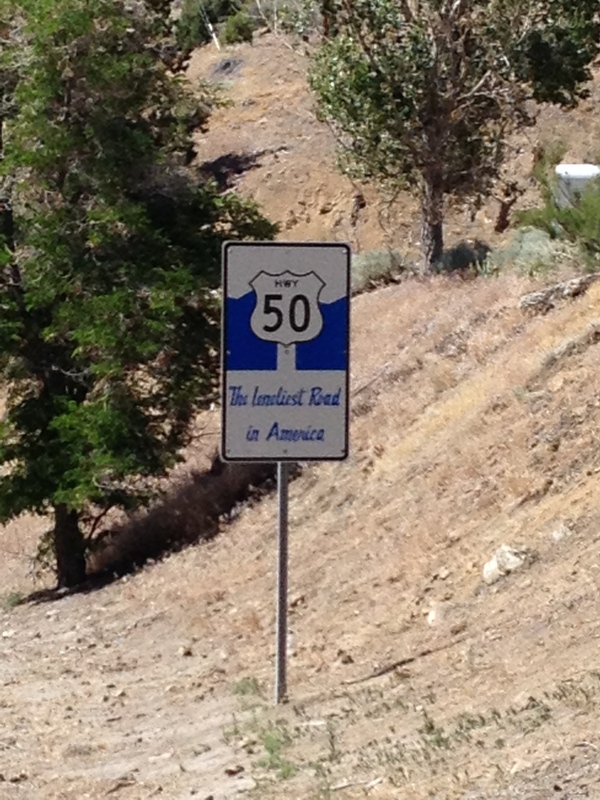 But I will stay off highway 50 – the loneliest highway – if I ever get my car headed in that direction. Thanks for the beautiful trip on line!!!!! Great observations, as always, Jim. Love this, very good points to match the pictures, very thoughtful. So good to see you in PRINT again. Hi Jim::::::::Thanks for sharing your adventures and associated wisdom lessons. There is one such lesson every moment and I seem to miss most of them. Your reflections are a learning lesson for me. Thanks for the encouragement to keep looking for things to learn. And thanks for reading.